Total Phase Newsletter, Issue 3 Volume 14 - Discount on Beagle USB 2.0 Analyzers, Custom USB Decoding Case Study, New Device Giveaway! 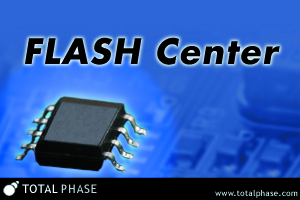 We recently released the latest version of the Flash Center Software, our popular SPI flash memory programming software. It works with the high-speed Cheetah SPI and Aardvark I2C/SPI host adapters. Flash Center supports many parts from most major memory manufacturers, and in this release, we've added support for many Macronix SPI flash parts. We've also added additional optional parameters (setting the SPI mode, bit order, and SS polarity) to give users greater flexibility for defining and importing their own part files. We hope this latest version improves you SPI Flash programming experience! 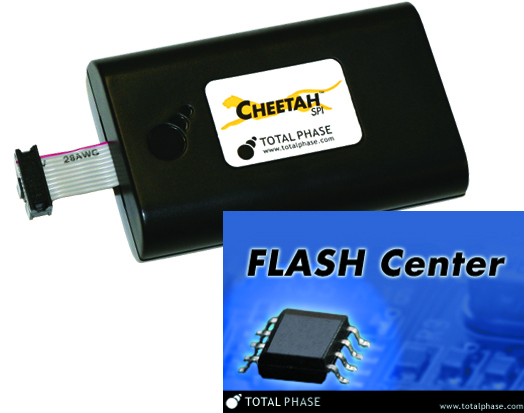 This newest Knowledge Base articleis a great introduction on how to use the Cheetah SPI adapter with the Flash Center software to program flash memory. The article walks you through the software and shows how to easily perform the erase, program, and verify functions using a STMicro 32Mb flash chip as an example. Have you taken a look at our blog section lately? We take real questions asked by current and potential customers and create small how-to articles with our answers. In this post, we show how you can use multiple Beagle I2C/SPI analyzers in parallel to monitor an embedded system's I2C and SPI buses at the same time. We add new blogs on a weekly basis so check in often for new tips and ideas on how to use our tools.